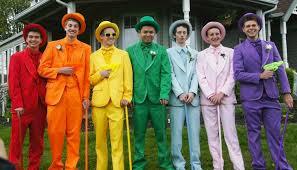 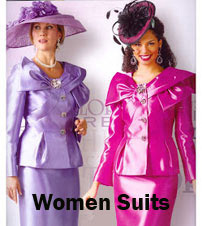 There are some elements about some outfits which men are very much fond of. 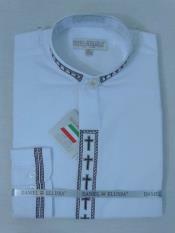 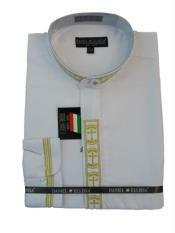 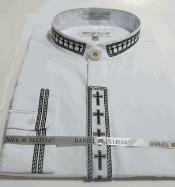 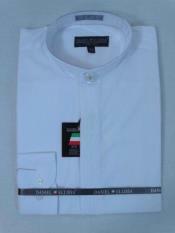 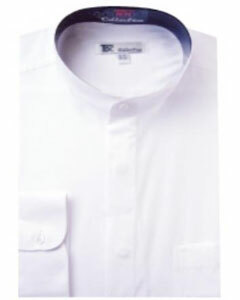 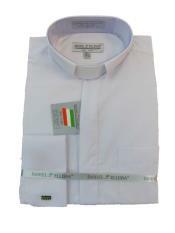 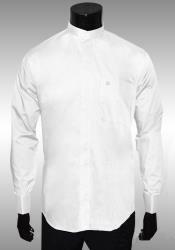 For example there is craze for white collars in shirts for men. 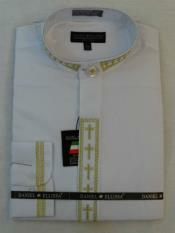 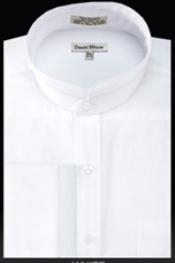 Some shirts come in full white with collars and all over white color, while some other shirts come as white collar and white cuffs with some other color on the body of the dress shirt. 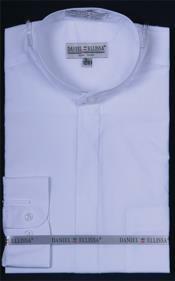 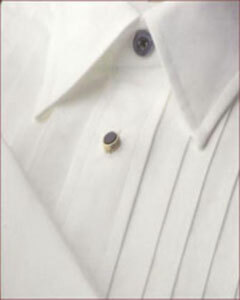 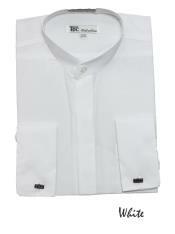 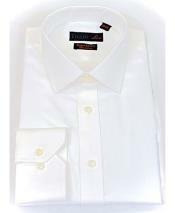 A white collar dress shirt is the mark of decency and sophistication. 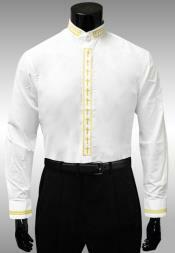 Men's white collar dress shirts look good and match with all other colors if the body of the shirt has to be in a different color. 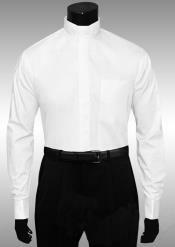 The matching cuff in white for mens white collar and cuff shirts gives an elegant look and appearance of the man's personality overall. 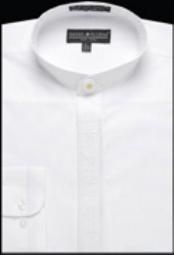 For all those men who do no prefer the all white dress shirt, or find it to be too plain, simple and common, then mens colored shirts with white collars are the best options to consider. 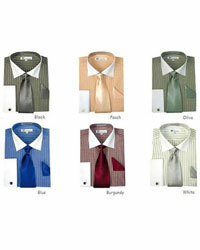 There are a number of options when it comes to different colored dress shirts with white collars. 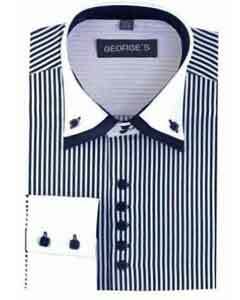 The blue dress shirt with white collar, pink dress shirt with white collar and cuffs, the dark blue dress shirt white collar etc are some of the options that one can consider. 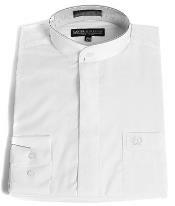 Men's white collar dress shirts come in different collar styles like the mandarin banded collar or Nehru collar, the spread collar style and the regular collar style. 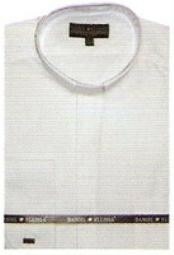 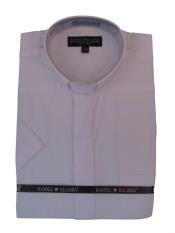 The white collar shirt dress fabrics come in a number of options like pure cotton, polyester, linen and so on. 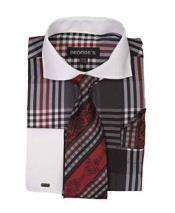 When it comes to formal style, nothing can replace the look of a dress shirt with white collar and cuffs. 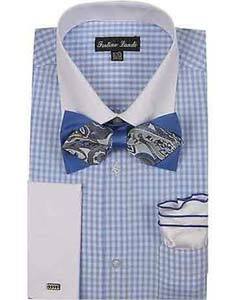 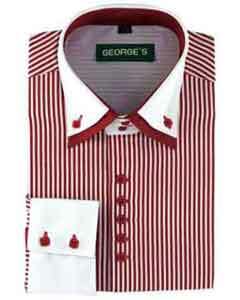 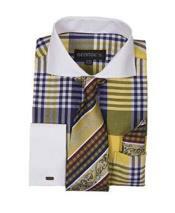 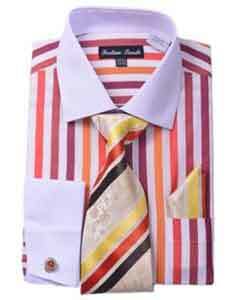 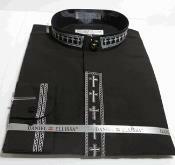 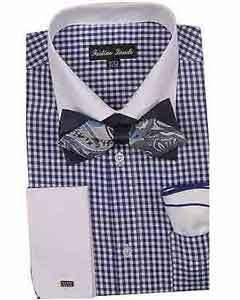 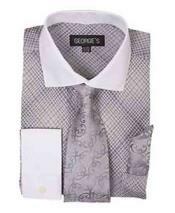 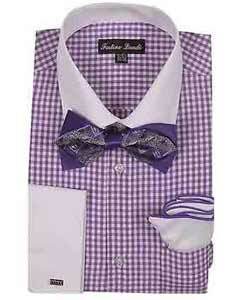 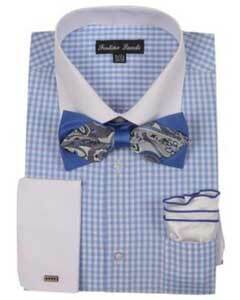 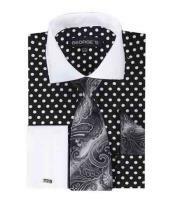 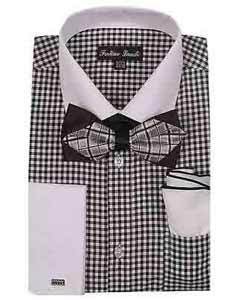 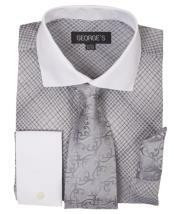 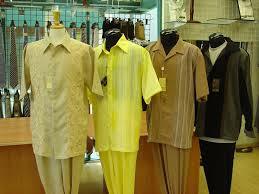 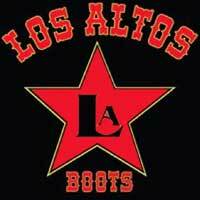 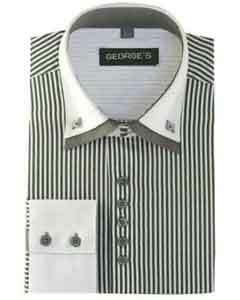 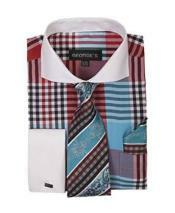 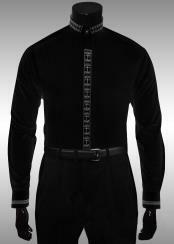 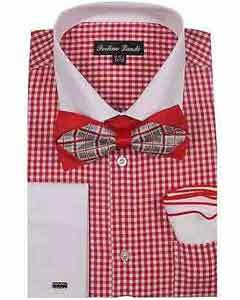 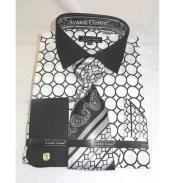 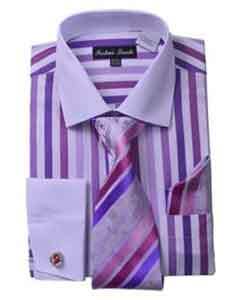 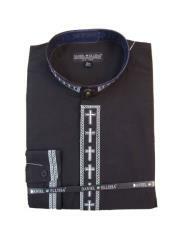 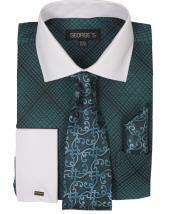 These shirts look classic and stylish on men's suits, blazers, as well tuxedos, sport coats and jackets. 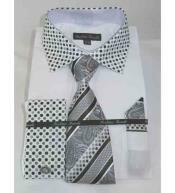 You can add up matching accessories like neck ties, bow ties, suspenders and cuff links to the white collar dress shirts. 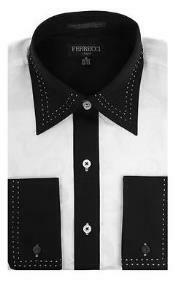 Adding accessories will enhance the look of the dress shirt. 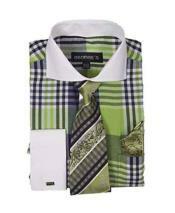 Depending on the type of outfit that you are wearing, you can add the accessories. 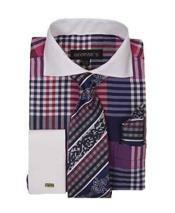 You will find white spread collar dress shirts, regular collar dress shirts and much more with different patterns on the body of the dress shirt like the small checkered pattern, big checkered pattern, stripes patterns and so on. 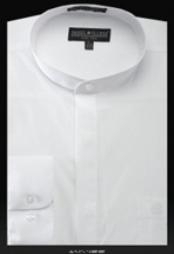 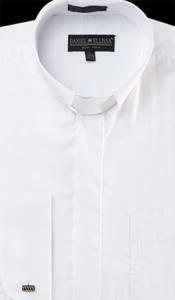 If you are a white color fan but do not want to go for an all white dress shirt, you can go for a mens white shirt with black collar and cuffs, this way the white color on the shirt will be highlighted. 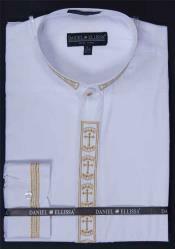 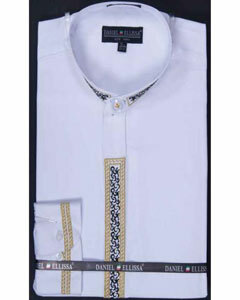 You can shop for amazing collection in men's white dress shirts, white collar dress shirts, formal business shirts, tuxedo dress shirts, casual shirts and matching accessories for dress shirts at out online store - Mensusa.com Find multiple color options, different men's sizes and variety of designs and styles in men's dress shirts collection at our online store.